« What Would You Say To Little You? I’m not supposed to have sugar, but today I’m ignoring the voice of wisdom. I’m savoring a little square of real Norwegian chocolate. It’s amazing—creamy chocolate with tiny almonds, a hint of caramel and surprising bits of salt. I might share if you ask nice. I know I’m not supposed to have it, but it came all the way from Norway. What idiot would pass it up? Besides, chocolate is a sure fix in a time like this. Okay. The truth is, I’ve been battling depression for several weeks. Once in a while, I give in to it. Let it wash over my heart and flood my thoughts, blocking the light and darkening my mood. Have you ever given in to the Big D? Mix disappointments with a couple minor health issues, nagging pain, and chronic poor sleep, and voila, the recipe is perfect. The result: a triple-layered funk coated with a thick glaze of apathy. And I know better. I have so much to be thankful for, countless things I take for granted. One day in a third world country would probably slap 99% of the funk right out of me. How do you deal with depression? I tell myself to snap out of it and smile at the checker and muster up genuine excitement at someone’s great news, or at least have the decency to appear excited. When that doesn’t work, counting my blessings helps. It helps a lot, actually. It’s not as trite as it may sound. So much of our negative emotion and mood comes from a bad attitude, which comes from negative thoughts—true or skewed—roaming around loose in our minds. This thoughts-to-attitudes-to-actions tendency is a sneaky business. When I’m feeling low because of real issues, negative self-talk seems to find a better foothold too. I start noticing crappy things about me, like how socially awkward I can be. How I compare to others. What I’m not doing right. Past mistakes. Some of these things are simply nasty little lies. Others contain some truth but don’t really matter; they do nothing but encourage self-centeredness, which is useless and a breeding ground for all kinds of mental and spiritual crud. The best way I’ve found to steer out of a depressed funk is to list the positives. Honestly. Humbly. And then eventually, I remember to pray. What a concept. Paul’s letter to the Philippians blows me away. His letter—from prison—encourages the Philippians to be full of joy. He uses the word “rejoice” 16 times. And there’s not one word about gritting our teeth, putting on a smile for the checker, and faking it. He had genuine reason to rejoice and wanted us to bury this reason deep in our hearts. Counting our blessings is a good start. Voicing gratitude to God takes the defunking process much further. Thanking God for what we have and what he’s done reminds us of God’s infinite wisdom and amazing grace. It dissolves the negative and erroneous self-talk tangled around our hearts. It forces our faces up out of the chocolate chip bag long enough to see beyond the moment. Reminds us we have hope. Forgetting what’s behind and looking ahead may sound like some kind of holy denial, like using blinders to ignore our problems or mistakes. That may be the case if we haven’t addressed some sin. If you haven’t, talk to Jesus about that today. But if you have brought your junk to the Lord and it still trips you up, ask God to cleanse, renew, and empower you. Sorrow lasts for a night, joy comes in the morning. I want to keep a carefully balanced view of both past and present. We have to watch where we’re going rather than where we’ve been so we don’t fall flat on our face. We also need to look ahead to what is promised to give us hope to move forward. But a certain kind of looking back is important. What is the most memorable thing God has done in your life? What moments stand out as times God made himself real to you? A healing? Peace in the midst of turmoil? Courage under fire? An undeniable sense of his presence? Provision for a need you had no resources for? A breakthrough of understanding from his word? A miracle? Strength to endure a particularly tough time? Joy in the midst of sorrow? A palpable sense of God’s all-encompassing love? I forget these things sometimes. Doh! I also forget I have a loving Savior who understands and cares about everything I’m going through. If anyone can sympathize, it’s Jesus. Jesus suffered so much and so willingly, out of his great love for us. Let’s allow his love to penetrate our thoughts, our attitudes, and our mood. Let his promises for our future give us hope. And let’s remember with gratitude all the things God has done for us. It strengthens our faith. And faith is the basis of hope. And hope (not Norwegian chocolate, I’m pretty sure . . .) is the cure for the funk. Jesus, please be with my friend now, especially if she’s battling depression. You know what she’s going through. You know her pain, her struggles, her disappointments. When she hurts, You hurt with her. Please touch her heart like only You can. Help us count the many positives with grateful hearts. Show us the lies that have robbed us of life and joy, and free us with Your truth. Show us mistakes we may still need to admit and help us lay ourselves fully at Your feet. Heal wounds, old and new. Cleanse, renew, and empower us. We need You, Jesus. Fill us with hope and joy. Amen. Question: What is the most memorable thing God has done in your life? What moments stand out as times God made himself real to you? Thanks for the voice of encouragement!!! Wonderful and timely thoughts. What a beautiful post! Thanks for sharing… I loved your comment about faith being the basis of hope. Good to see you here, Kathy! He gives us reason to hope! If only I could remember all the many times God has faithfully taken care of me. Remembering that really helps. Hi Camille, I’m still in town. And the rain is coming down. I’m longing for sunshine. Thank you for your post. Beautiful. I’m sorry to hear that you’re having dark days. I used to be a person who was almost never down. And then after my auto accident, way back when, and the following changes to me and my life, depression became part of who I am. In the beginning it took over and I gave up, but only for a time. It’s been many years since that change and I still have to fight depression. What helps is chocolate — only a little. Too much sugar makes me feel sick. The love of my family uplifts me. I also get involved helping others. And I think on the blessings in my life and the goodness of God. I often go to Philippians 4:8 & 9. It helps me turn my thought process from dark and gloomy to bright and beautiful. And sometimes it’s okay to be depressed. Give yourself permission . . . sometimes, but don’t dally there too long. Thank you so much for sharing & for your encouraging words, Bonnie. If Paul could be joy-filled while chained in prison, I suppose there’s “hope.” Thanks for the chocolate Rx. 🙂 I knew it was a cure-all!! Thank you for sharing your heart, Camille. Beautiful post. Thank you for stopping by Christina. Hope to see your pretty face here again!! To my dear friend(s) who read this post and find themselves unable to form the words to comment or respond, know that I am praying for you, too. God does see and knows exactly where you’re at, I know this without a doubt. There is hope beyond anything we can imagine. Thank you, Jesus, for the things you are doing that we cannot see. Thank you for your love and faithfulness to us time after time. Help us cast every care, sadness, and anxious thought at your feet. Help us to feel your Spirit’s presence, peace and love, surround us, Jesus. We look to you for everything we need, Lord. You are our Source! people who say those who truly follow God never get depressed need to read 1 Kings 19:4, Elijah was so depressed he prayed, “It is enough! Now, Lord, take my life. . .” That’s major league depression. Keep on believing, Camille. And, I agree, a little chocolate helps! 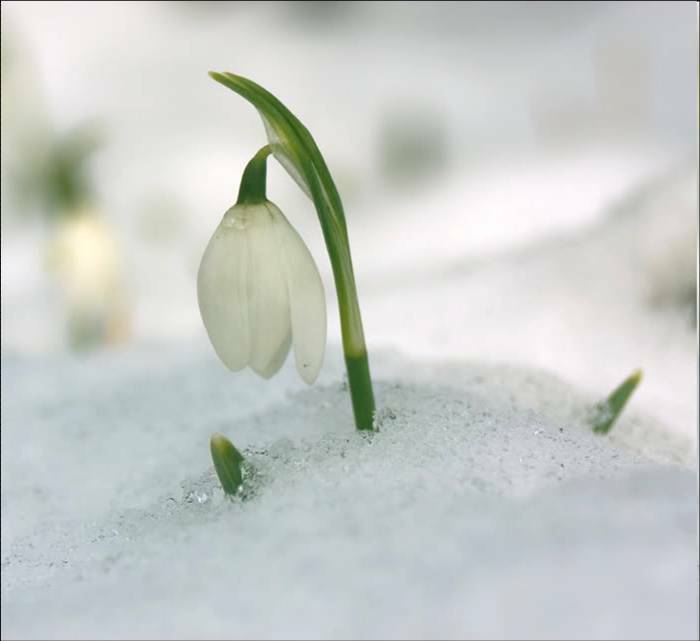 Love your Lily-of-the-valley in the snow! Fantastic post. Remember Lauraine’s hot seat? Sometimes we need a little pressure to push past our wallowing, I think. Ya know, the other day I was thinking of the feared sophomore slump. Then I was wishing, hoping, praying to even have a CHANCE to HAVE a sophomore slump. Am I a one-hit wonder, who’s hit was critically acclaimed but didn’t become a hit in the financial sense? I’ve kept this post open for several days, waiting for a few quiet moments to read it. Yes, I’ve struggled with depression. You’re in my prayers, my friend. Camille, transparency is a gift to others. Thank you for yours. Thank you, Bonnie. You’re such an inspiration to me! Hugs!! Depression can be a total bummer–I’ve battled it a lot in the past. Sharing like you’ve done can really help. I’ve never been a depressed person and haven’t had much tolerance for those who live in a funk. I’ve always just thought everyone should pull themselves up by the bootstraps and get going. But now, my mother has fallen and broken her hip and suddenly I’m the one responsible for knowing how to care for her. She is very unhappy and I feel like I’ve taken her joy away because she’s had to move into a care home. She doesn’t know the Lord and day after day she just stays in bed… I keep thinking there must be a way to help her, but I don’t find any answers. It’s the hardest thing I’ve ever been through. I think once this is resolved and the sun comes out again I’ll return to normal. There is no doubt that chocolate helps this girl. Jan, I’ve been (still in) something very similar. My mother had open heart surgery the first week of October 2011 at the age of 87. Though the first few days were horrendously hard on her, it looked like she was going to pull through okay, then a staph infection settled in the wound and she fought for her life (or gave up some of the time) for four months. It was awful. She lived seven hours drive from my home in a nursing home and I drove a lot back and forth. She needed family with her, even though her husband was with her nearly every day. They both suffered hugely and some of the time I knew my mother just wanted to die and wished she hadn’t had the surgery. Several times we thought she would be gone at any moment. The months of suffering took a huge toll on us all, but finally she seemed to be pulling out of it. She and her husband I(mys stepfather) were scheduled to move into an assisted living community and the day before the move, my stepfather died, leaving my mother in a horrible state. My husband and I jumped in our car and headed north so we could be with her. It was awful . . . awful . . . awful. I didn’t think she’d make it. She’d lost everything–her health, her husband and now she’d have to move closer to family so her home as well. We were all grieving, for the loss of my stepfather and the agony my mother was going through. We thought it would have been better if she’d died, but she hadn’t. We figured God knew best. To make a long story a little shorter, Mom has been settled in her new home, an assisted living home, close to family here in Southern Oregon. And she is regaining her health, her strength and her joy. I am the one primarily responsible for her, my brother’s and sister live far from here. Sometimes the responsibility seems overwhelming, but there are awesome days of just chatting or drives in the country or meals shared along with a healthy dose of reminiscing. Give your mother time. Be there. Cherish the time you have. I don’t know why you and your mother are in the place you are, but I know God is with you and that He cares. Seek out His will in the midst of suffering and you may find there is joy to be found and the light of the Lord to shine upon your path. I will pray for you and your other. Nothing happens by accident. There is a purpose in all things. Thanks so much for sharing your story, Bonnie. Yes, these last days with our parents can be heartwrenching, but each day is treasured too. I was just telling my husband that when we were younger life seemed so easy. Now as we age it seems I see trouble all around. But the Lord is good all the time and I so appreciate your words of encouragement. I often pray that being in a Christian environment will somehow invade my Mom’s heart as she doesn’t know Him and has no hope of eternity. Thanks for praying.